Yves Rocher is a worldwide cosmetics and beauty brand, founded in 1959 by the French entrepreneur Yves Rocher (1930–2009) and based in La Gacilly. The company is present in 88 countries on five continents and employs 13,500 personnel, excluding more than 215,000 through additional indirect jobs. 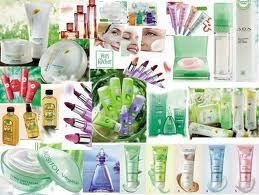 The Yves Rocher group achieved a turnover of 2.012 billion euros in 2004. The group also manages the brands Daniel Jouvance, Dr Pierre Ricaud, Isabel Derroisné, Petit Bateau, Kiotis, Stanhome and Galérie Noémie. The company maintains a botanical garden, the Jardin botanique Yves Rocher de La Gacilly, at its industrial site in La Gacilly. It is open to the public without charge.